A fully functional engine is required to keep your car healthy, but your engine can only remain in good working condition if it is well-maintained. Let us inspect some simple ways to maintain the engine, and what is mandatory to make the engine of your car operate at topmost performance. Use these tips provided by A&C Auto Center to lessen future car engine repair expenses and enhance the performance of your car and its lifespan. 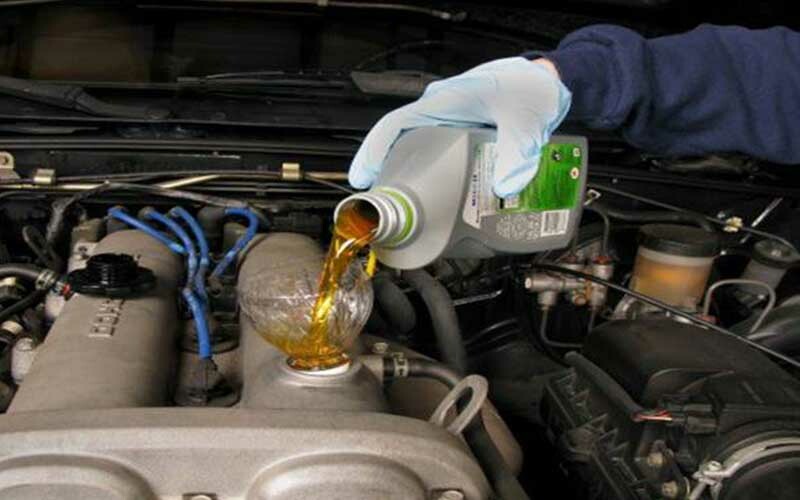 Oil is the essence to your vehicle’s engine. It is important to keep it lubricated with oil because it contains a lot of parts that move and rotate. The main reason why you need to check and change your oil frequently is it might get used up and also degrade when you drive your car. If not, mechanical wear will occur as the friction increases, then sludge and carbon deposits will accumulate on the engine – the car drivability and performance will deteriorate over time. You know it is time to change your oil when it appears black or brownish on the dip stick – its markers also indicate the volume of oil left in the engine. Click here for The Car Repairs You Can DIY. The unwritten but known rule is that oil should be changed after traveling over three thousand miles or every three months. This varies based on how you use your car, you might have to change your oil more often if you hardly warm up your engine, tow a truck or drive on untarred dusty roads. The cooling system is crucial because it regulates the engine temperature as the fuel burnt produce massive amount of heat. A fault in the cooling system due to leak will result in engine overheating that may, in turn, cause a major problem. The manual of the car always provide the instructions on how to check the level of coolant in your engine. A leak can be noticed by looking underneath the car. If your engine is overheating but you can’t see what the problem is, it means it’s time to take your car to a repair shop. A decent tune-up may be what you require if your car starts acting i.e. the engine seems too slow or have no power. The general recommendation is to do one after traveling every sixty to ninety thousand miles. A tune-up starts with replacing the air filter, and the spark plugs and/or spring-cleaning out the body of the engine throttle. You can also choose to replace or clean the fuel injection system and PCV valves. If your car is old, it might include changing the ignition wires, distribution system and filter for fuel. 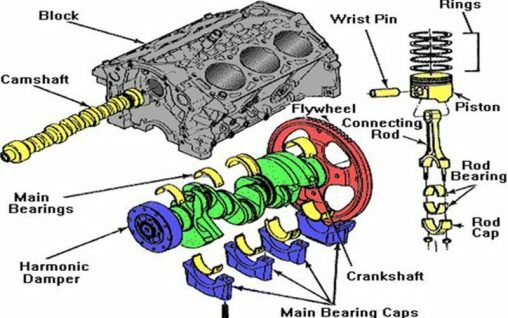 The timing belt is the part of your vehicle that guarantees the motion of the piston is synchronized with the motion of valves on the engine’s camshaft. Here is all you need to know about timing belt – https://en.wikipedia.org/wiki/Timing_belt. 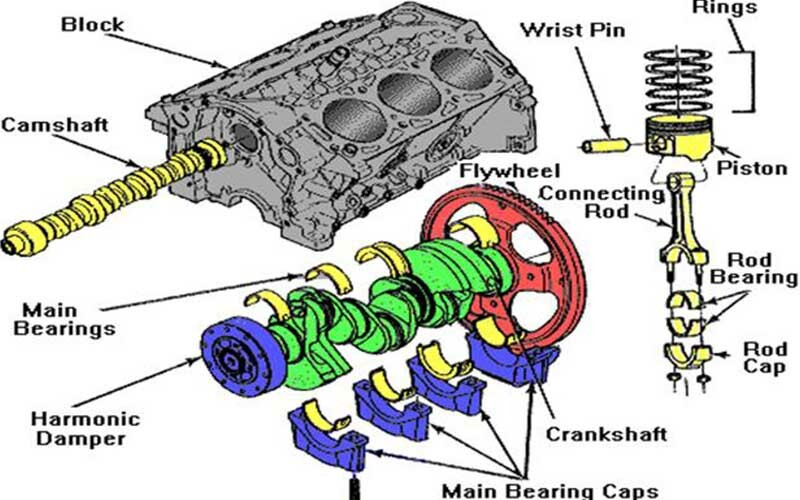 The worst that can happen to the car is if the timing belt gets damaged or old, it might snaps while you are driving. This will result in extensive damage to your engine. So make it a habit to regularly examine your timing belt worn out signs and if there is oil present on it from the engine. Car manufacturers suggest that you should change the timing belt regularly, usually after sixty to one hundred and five thousand miles. In your engine, the function of the air filter is to inhibit debris and dirt from blocking the engine. If it is dirty, airflow to your vehicle will lessen, there will be no power and the car will be slow. An old one will rip and let dirt and debris enter your engine. The user manual that came with your car will suggest when to change the filters. If you travel often on a dusty and unpaved road, it is recommended that you change them after every fifteen to twenty thousand miles. Read more on air filters here. The alternator is attached and moved by the drive belt which is also connected to the air-con compressor and any extra accessories. Your cars might have one or more drive belts. The engine will get disabled if your drive belt breaks or get worn out. When your car squeaks, it is often the initial indication that your drive belt requires checking. Frequently, the drive belt should be inspected when changing the oil. To conclude, you have to enlighten yourself on most automobile repairs and upkeep. Though there are decent mechanics who can help you but your expenses will lessen if you can maintain your car engine with the few tips in this article.